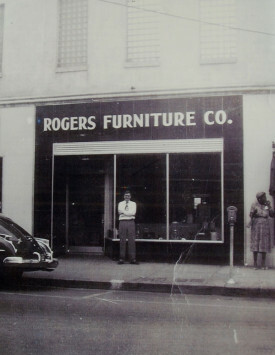 Rogers Furniture Company was established by John Harris Rogers in the late 1940’s. The original store, pictured here in 1948, was located on Dargan Street in Florence, SC. 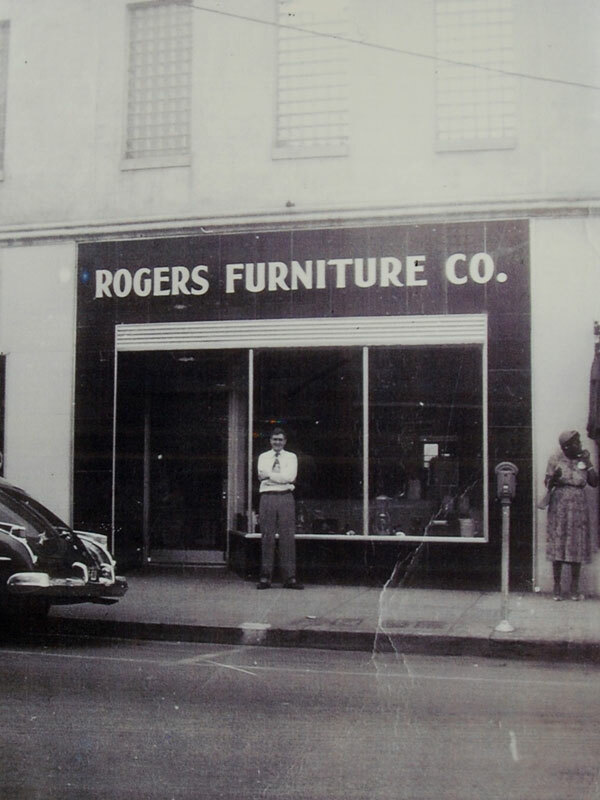 After successfully operating the store for years, John turned store operations over to his twin sons J. H. and N. B. Rogers, who renamed the store to Rogers Brothers Furniture and moved the location to the other side of Dargan Street. 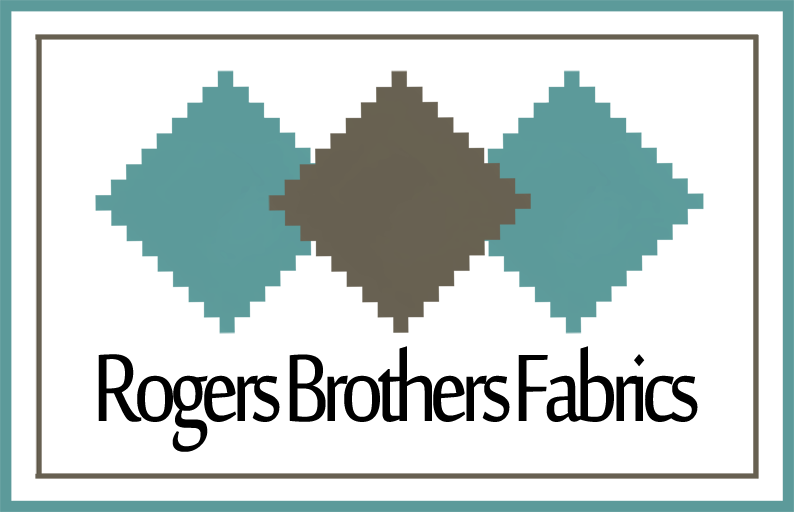 In 1972 the current store owner, younger brother Don Rogers joined the business. 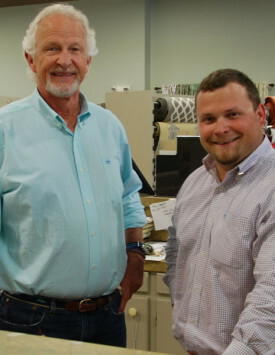 About 5 years later, Don established Rogers Brothers Fabrics and moved to West Evans Street, at what is the current location of Hotel Florence. 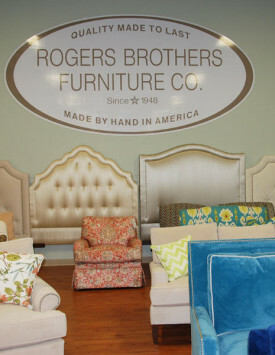 In 2009, Rogers Brothers came full circle, by rebranding the business with a custom furniture line, Rogers Brothers Furniture. The furniture is made in Hickory, North Carolina. 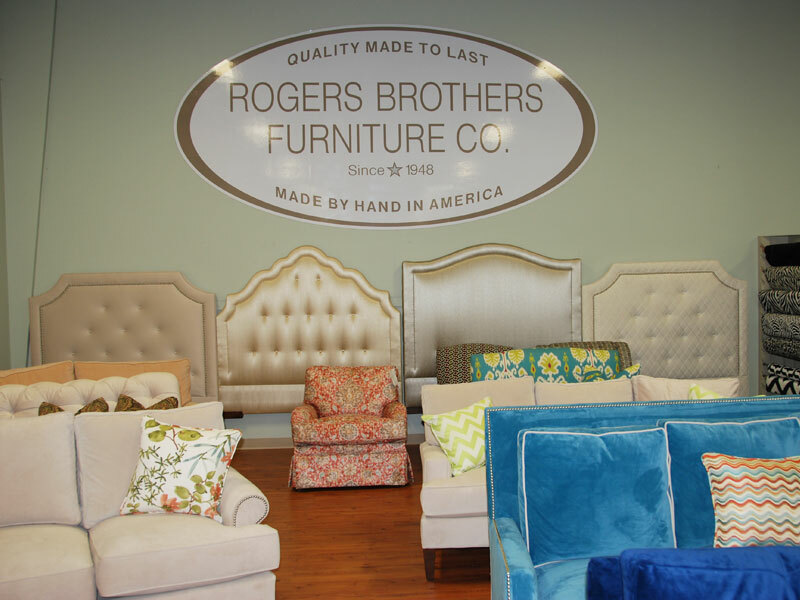 Under Don’s guidance, Rogers Brothers Fabrics has become one of the leading upholstery, custom furniture and home decorating stores in the Carolinas. Today, Don’s son Matt is working with him in the business in preparation of taking the helm.